Playing hockey requires a lot of gear. To carry all that gear you need a solid hockey bag that’s gonna withstand being thrown around, beaten up and having wet gear in it. Materials need to be tough, water resistant and breathable with strong metal zippers. It also needs to be easy to access with pockets to store things like tape, towels, scissors, extra pucks, skate sharpeners and more tape (can never have enough!). 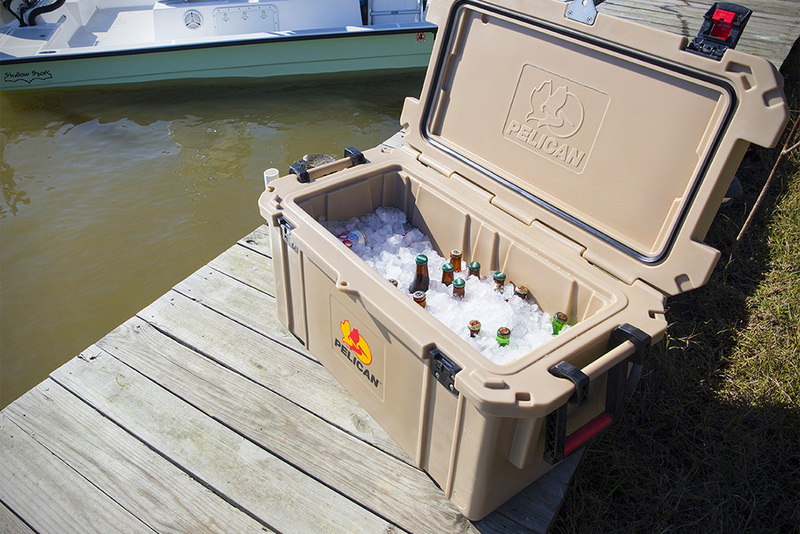 The more spacious and compartmentalized, the easier it is to find whatever piece of equipment you need. Hockey bags come in two different types — either wheeled or non-wheeled. Wheeled bags obviously make it easier to move your gear from the parking lot to the dressing room, but they are a bit stiffer and usually larger. Non-wheeled bags are usually more traditional and simple, often with fewer pockets and a less bulky design. If you’re strong enough, they are fairly easy to carry. 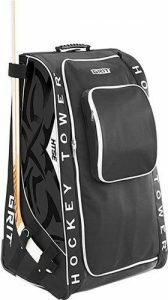 In this hockey bag shopping guide we will go over both bag types and also discuss tower style bags and backpack bags. 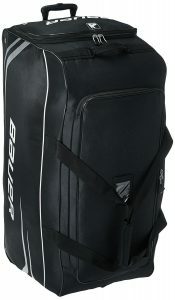 The Grit HTSE Hockey Tower 36″” Equipment Bag is a popular and well-designed hockey bag. The tower style allows you to stand the back upright and have all gear easily accessible. 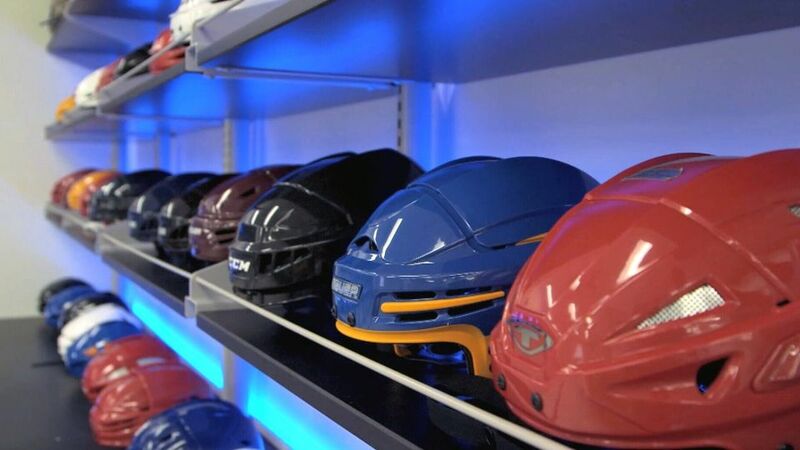 There are lots of compartments making it easy to pack, including a helmet shelf with slots for skates. On the side there are straps to secure your hockey stick in place for both left handed and right handed players. The front also has a zipper flap with a removable wet/dry bag and foot carpet. Roller skate type wheels on the bottom make it easy to wheel the bag around. Overall a durable hockey bag that has everything you would want. 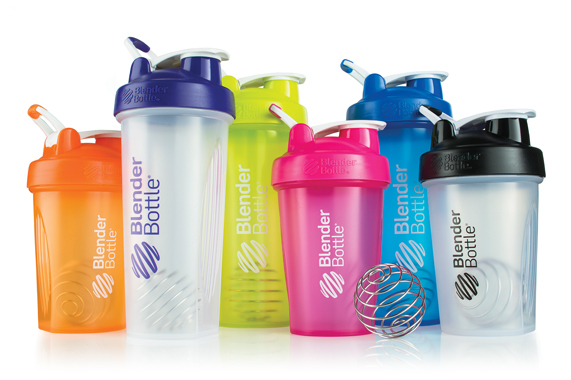 It comes in a few different sizes so choose the correct version for your needs. 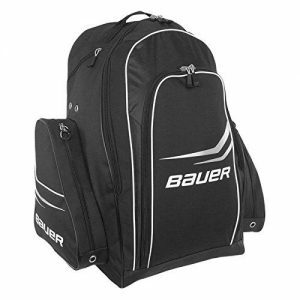 The Bauer S14 Premium Hockey Wheel Backpack is a sturdy hockey bag that is great for managing gear. If you have a lot of gear, we wouldn’t recommend it as it doesn’t have as much space compared to a normal wheeled or carry bag. The exterior is made from 500D backed by PVC fabric. 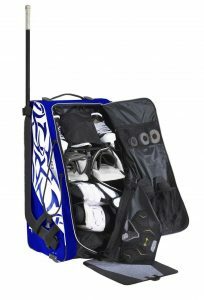 Carry hockey bags can also be referred to as strapped or non-wheeled hockey bags. The best carry hockey bag we found is the roomy Ninth Ground Hockey Bag. The bag is made from 1680D polyester fabric that is thick, durable and water resistant. 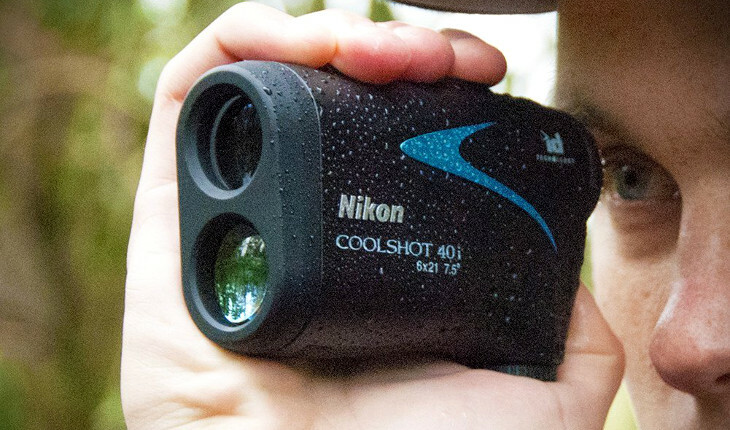 A heavy duty mesh top allows your gear to breathe and allow moisture to evaporate. There are two internal skate pockets inside the main storage area and side pockets to keep your extra accessories organized. The double oversized zippers seem strong and tough and the shoulder straps are padded which makes carrying the bag easier. This bag offers excellent value for the price especially compared to name brand companies. 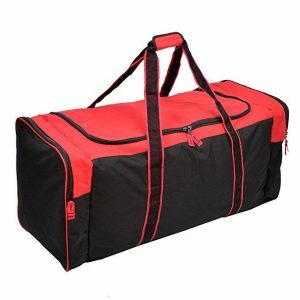 Another carry bag that offers excellent value is the Jetstream 36 Inch Heavy Duty 3-Pocket Hockey Bag. 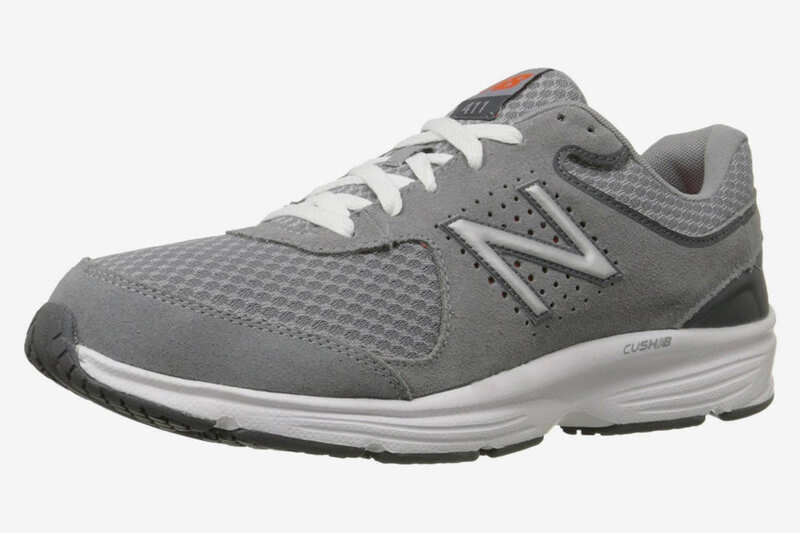 It is made from 600D water resistant polyester that is solid and feels sturdy. 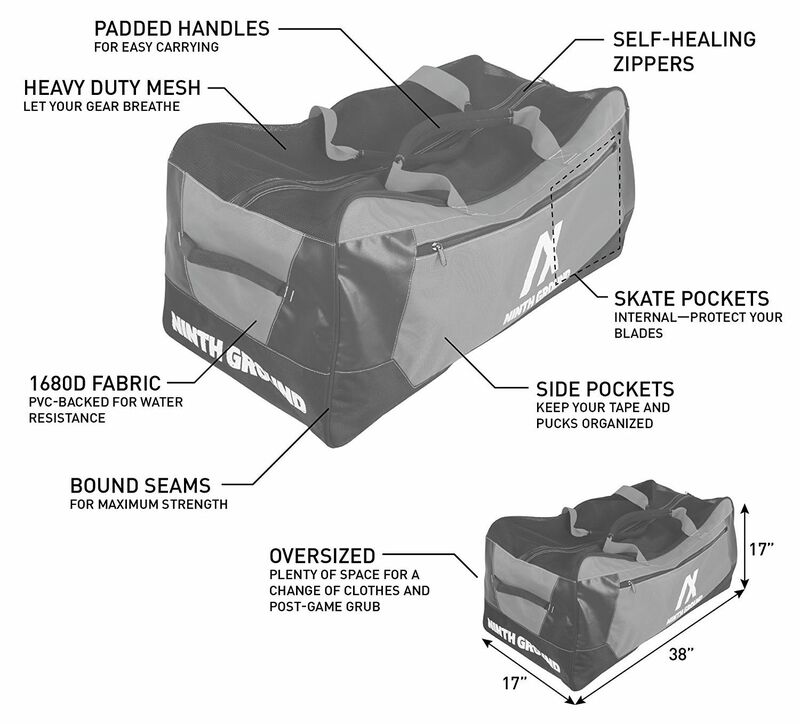 The main opening is large and spacious and will hold all your gear and extra jerseys with no problem, and two large end pockets for your skates and extra accessories. The zippers are durable 2-way nylon zippers that are extra large and provide good leverage without feeling like they will snap. This is a great hockey bag for both adults and kids at an extremely reasonable price point. 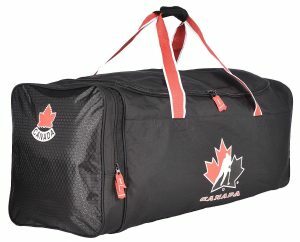 The officially licensed Hockey Canada 34 inch Hockey Equipment Bag is our third choice and also offers excellent value for the price. The outside is constructed of 600D polyester with hexagon ripstop for extra durability. The main zippered compartment is big with a side skate pocket. The double carry handles have a velcro grip and are nice and long. Simple, spacious and reliable. 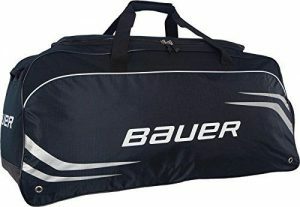 If you’d like to go with a name brand, we suggest the Bauer Premium S14 Medium Hockey Equipment Carry Bag. Its more expensive than the other bags we suggested, but it still offers decent value. It uses 500D polyester (so not as tough as the bags above) but uses cold resistant plastic reinforcements in high friction zones. The bottom is waterproof and ventilation grommets help with air flow. There is only one external pocket on top for your skates so there is more room in the main compartment for the rest of your gear. This is a simple, no frills hockey bag. Our biggest concern however was still the material used and how it will hold up over time. Our top choice for the best goalie hockey bag is the Grit Inc. GT3 40-inch SUMO Goalie Hockey Tower Bag. This bag is a bit pricey but its huge, durable and well-designed. It uses a Torsion Technology frame that is lighter and more flexible than previous models, with improved soft interior shelving that is reinforced to better support the catcher and blocker. This bag also includes nylon hooks to hang goalie pads and quick release shock cords to pull the goalie pads in securely. Three sides offer air drying and venting and it also includes a removable mesh wet/dry bag and a foot carpet. This is the ultimate goalie bag that will impress. Our runner-up is the Bauer S14 Goalie Premium Carry Bag made from tear resistant 3mm ripstop polyester. It uses a two layer ventilation system and is large enough to hold all your goalie equipment. The outside has two large skate pockets and a name/player number window. Sitching and zipper quality is heavy duty and the shoulder strap is adequately padded. 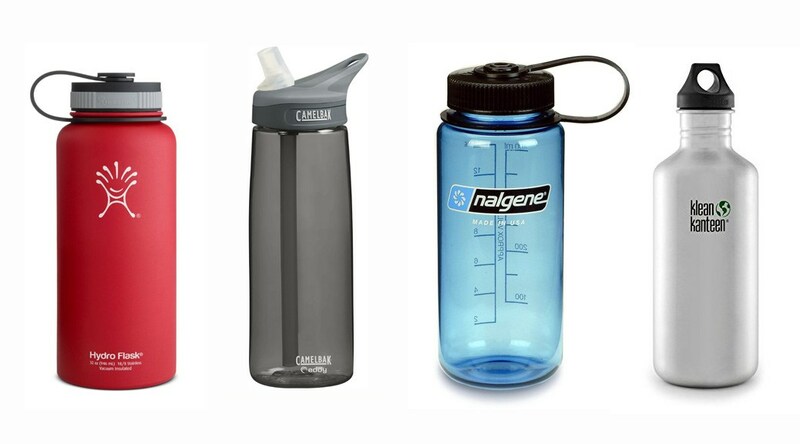 Keeps everything compact inside and holds the gear you need. 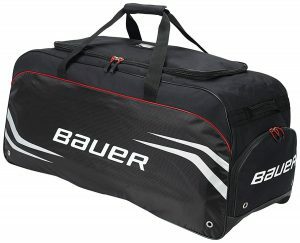 Our next choice is the Bauer S14 Goalie Premium Wheel Bag. This is similar to Bauer’s other offering, made from the same 3mm ripstop polyster and using the same two layer ventilation system. 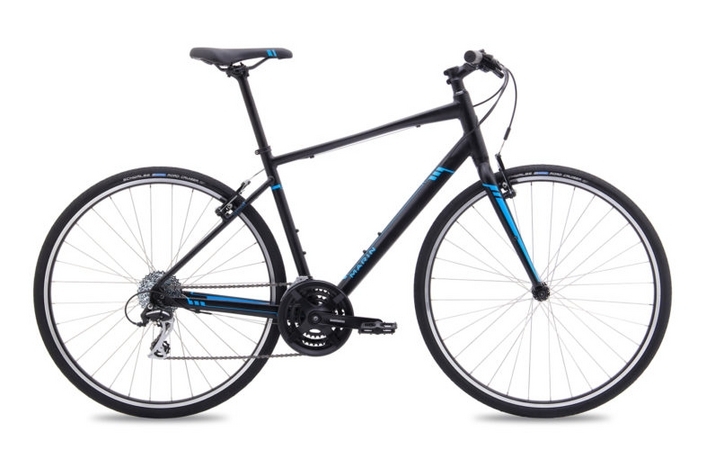 The primary difference is that it has three all-terrain wheels for easy transport and stability and nylon handles on each end for easy hauling. Hockey tape — This is pretty much a must have. Bring extra so you don’t have to ask teammates to borrow tape. 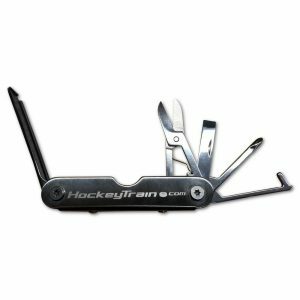 Hockey multi-tool — Includes small scissors to cut tape, 2 screw heads to tighten your helmet or skate blade, skate lace puller and a skate sharpener stone in the package. IceFoot Microfiber Ice Skate Towel — Quickly absorbs water and dries your skate blades. Microfiber towels work better, dry faster and last longer than standard cotton towels. 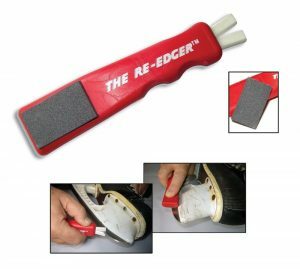 Skate re-edger — Includes 1/2 inch ceramic steel and a replaceable honing stone. Useful for cleaning up knicks and deburring edges on your skate blade without getting a full skate sharpening. Extra skate laces — Not a requirement to have in your bag, but always great to have an extra pair on hand for when your laces wear out. Pucks — Always carry a couple extra in your bag, you never know when you might need them. Weighted puck — Heavier than regular pucks and great for practicing puck handling, passing and shooting. Weighted pucks can help develop stronger wrist shots and backhands. Avoid slapshots unless you want to crack your stick blade. Helmet repair kit — These kits inexpensive and ALWAYS good to have with you. You will have to use this at some point to tighten up loose screws or to replace ones that have fallen off your helmet. 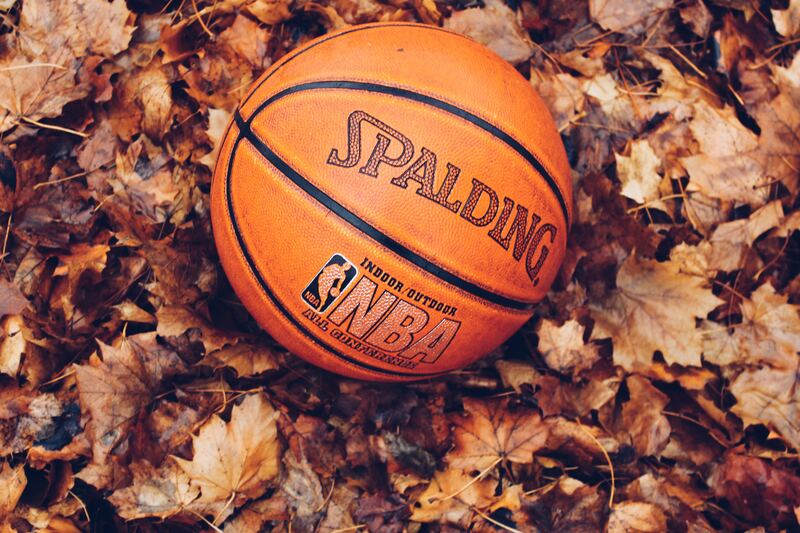 Socks — Not a requirement, but many players like to wear cushioned or more breathable sports socks. 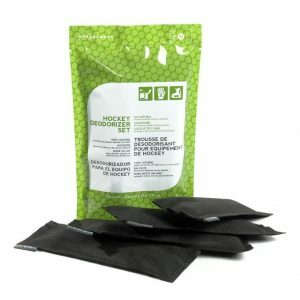 Hockey bag deodorizer — Don’t be that guy who has the stinkiest bag in the dressing room. Wash your gear periodically (or at least your jerseys) and keep a couple deodorizers in your bag to help absorb odour and moisture.